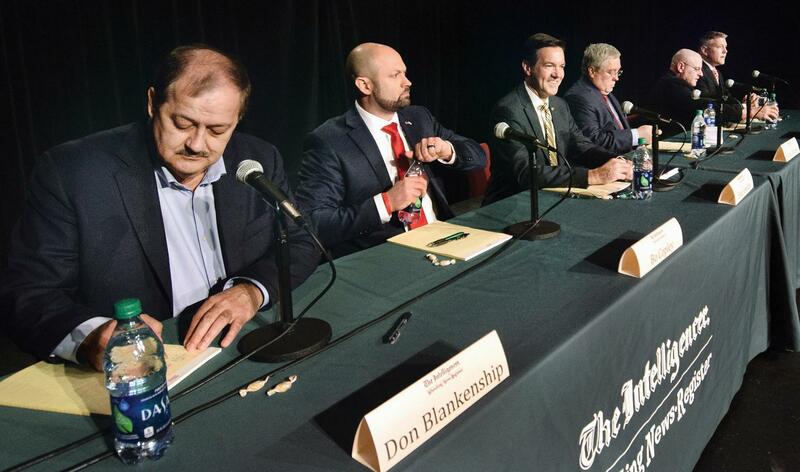 Candidates, from left, Don Blankenship, Bo Copley, U.S. Rep. Evan Jenkins, West Virginia Attorney General Patrick Morrisey, Jack Newbrough and Tom Willis, participate in a debate in Wheeling, W.Va., Monday, April 23, 2018. While earlier debates this primary season were relatively dry, a Tuesday night event in Morgantown hosted by Fox News delivered frequent sparring, particularly between Congressman Evan Jenkins and state Attorney General Patrick Morrisey. The two front-runners kept with a running theme of their respective campaigns: try to out-Trump the other. “Who did you vote for in the May  primary in West Virginia? I endorsed and voted for Donald Trump. Who did you vote for?” Jenkins quizzed Morrisey at the debate. “I support the president and that's why just a few weeks ago...just a few weeks ago when I sat next to the president -- and Evan was there as well. We have a great relationship. We've worked together. I was proud to run ads with the president and support him at the convention floor. There were a lot of people that were not -- Evan supported him the day before the primary. That's no profile in courage,” Morrisey fired back. Former Massey Energy CEO Don Blankenship finishes one year of supervised released on Wednesday, the day after the election. Blankenship served a year in federal prison for conspiring to violate mine safety standards, a misdemeanor stemming from the Upper Big Branch disaster. The April 2010 explosion killed 29 miners. Throughout his campaign, the former coal baron has maintained his innocence and -- despite his status as a first-time candidate -- has attempted to take credit for the Republican takeover in West Virginia politics in recent elections. At Tuesday’s Fox News debate, Blankenship used his past political influence to take shots at Jenkins and Morrisey. Blankenship helped fund the election of a conservative state Supreme Court Justice in 2004 and has self-funded his bid for U.S. Senate. But it’s not just the candidates themselves who have taken aim at their fellow GOP Senate hopefuls. Money from Super PACs -- coming from Republicans and Democrats -- has been fueling an onslaught of television and social media ads in recent weeks. There’s also ads from Mountain Families PAC, a Republican-backed organization that has spent more than $700,000 trying to end Blankenship’s chances at scoring the nomination. But perhaps the most peculiar outside player in the GOP primary is Duty and Country, a PAC whose treasurer is former U.S. Attorney and Democrat Booth Goodwin. He was responsible for trying the Blankenship case back in 2015. Duty and Country is taking on both Jenkins and Morrisey -- seemingly to place Blankenship in what they hope is an insurmountable race against would-be Democratic nominee Manchin. 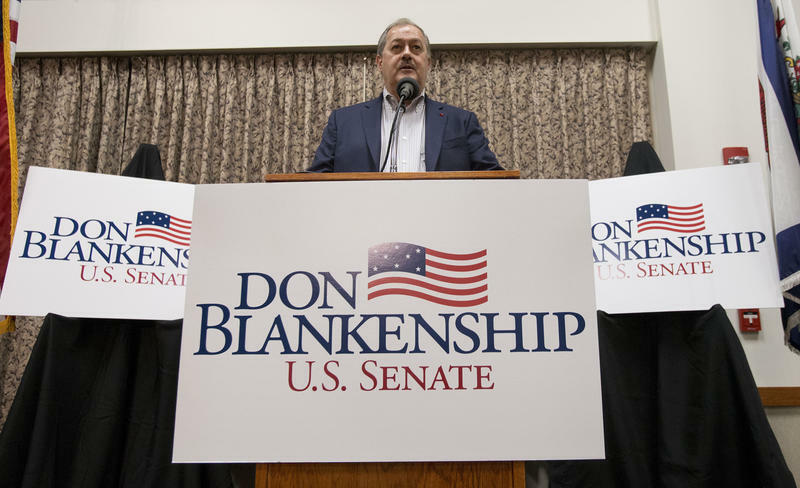 While Jenkins, Morrisey and Blankenship have been the most recognizable names in the race, three other Republicans are also vying for the party nomination. They’ve taken a similar strategy as their front-running counterparts: pro-Trump, anti-Manchin. While these contenders garnered fewer debate invites, they say they’re still in the running. “You can throw all the big name recognition out the window because, at this point, it's a four-man race. We're within 12 points. The top four candidates are all crammed within 10 points of each other. There's still a huge undecided vote out there around 30 percent,” said Tom Willis of Martinsburg, another candidate in the race. According to the recent Fox News poll, the undecided vote for likely Republican voters actually sits at 41 percent in this race. 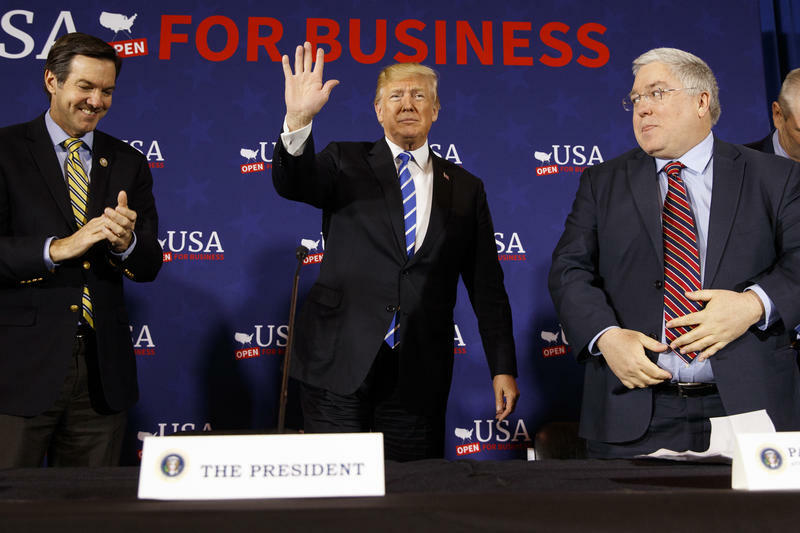 Willis touts his credentials as a small business owner and a green beret honors graduate, as a remedy for what he sees as failed policies in recent times. “I think all of the candidates would agree that Joe Manchin has failed to provide leadership. He's been in office in politics for 30 years and West Virginia remains near the end of all the different rankings. That's a symptom of a lack of leadership,” he said. Laid-off coal miner-turned-Senate candidate Bo Copley found himself thrust into the national spotlight during the 2016 presidential campaign, when he questioned Hillary Clinton’s comments on the coal industry. Copley sees the big spending by the top three candidates and their outside backers as a disadvantage in some ways, but also as an opportunity. “People are tired of they type of typical politician that we have in these races. I'm not a politician, I'm just a West Virginia. I'm trying to make life better for those that live life like I do,” Copley said. Copley argues that the top three front runners in Jenkins, Morrisey and Blankenship are too far removed from the lives of average West Virginians. “One of the biggest problems we face is people don't know that we're in the race because we can't advertise the way they do. I've seen so many comments on social media as I get if this is the only thing that we have to choose from I won't vote. And we have to quickly say, ‘No, you have other options,’” he said. Rounding out the field is Navy veteran and truck driver Jack Newbrough from Weirton?. At a debate last week in Wheeling, Newbrough drew attention for his comments about carrying a gun to the event, as well as his position on how to combat the opioid scourge that’s hit the country -- he suggested waterboarding dealers. 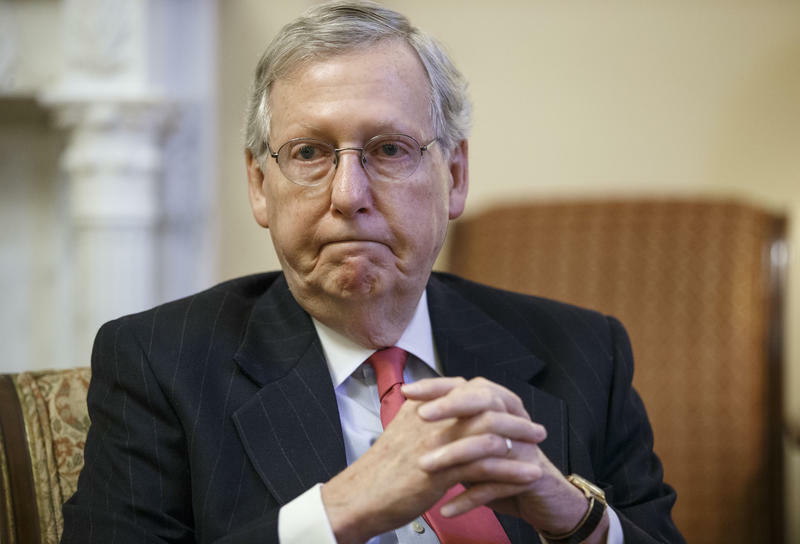 He, too, believes the GOP front-runners will be an easy target should they be nominated. 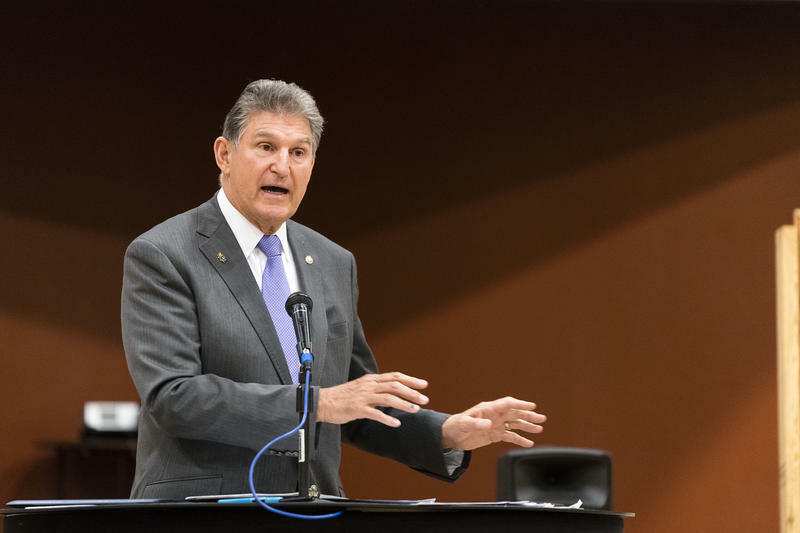 “Look at Joe Manchin -- he has so much ammunition to go after them on because of their past. What's he gonna go after me on? Either I’m a Navy vet or I'm a truck driver. I mean, there's nothing else for him to say. I mean, if he get knocks me on either one of those me what else can he go with?” Newbrough said. As for the millions of outside dollars coming into the primary, Newbrough says he’s happy he had no involvement. “I mean I have not taken a dime from anybody. I don't take any endorsements. I don't take any donations -- and I will refuse to take. I'd like to prove a point - you don't need to raise millions of dollars to win a race. Do I think it's going to happen? I don't know. I guess we'll find out May 8,” he said. Polls are open on election day from 6:30 a.m. to 7:30 p.m. Early voting ends Saturday, May 5. Editor's note: An earlier version of this story incorrectly stated that Blankenship is finishing a year of probation. In fact, he is on supervised release following his release from prison last year.